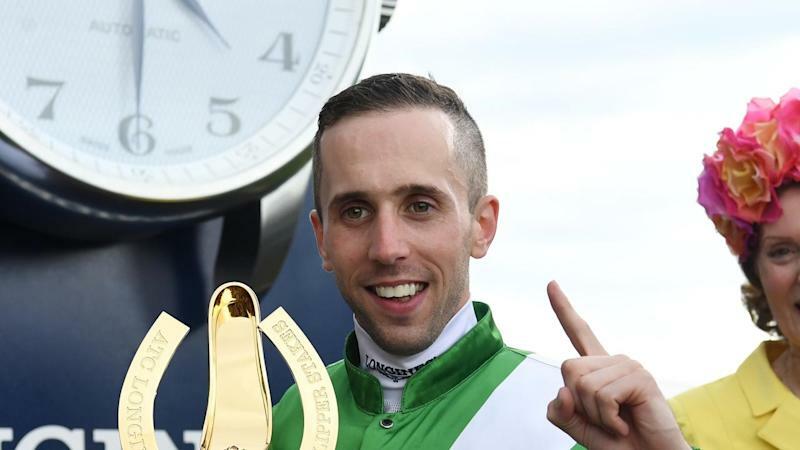 Brenton Avdulla was the toast of Rosehill 12 months ago when he won the Golden Slipper on Estijaab and he returns to the scene of his biggest triumph with another handy book of Group One mounts. While Avdulla doesn't have a ride in this year's Slipper, he has good opportunities to feature at the pointy end of the day aboard Egg Tart for Chris Waller in the Group One Ranvet Stakes (2000m) and promising sprinting colt Graff in the Group One Galaxy (1100m). Egg Tart has been left in the wake of her superstar stablemate Winx in two runs from a spell but has performed creditably both times, finishing third behind the champion mare in the Apollo Stakes (1400m) and fourth in the Chipping Norton Stakes (1600m). There is no Winx to beat on Saturday after Waller decided to scratch Egg Tart from the George Ryder Stakes in favour of the Ranvet. And given Egg Tart's superior record on rain-affected tracks, the move could prove decisive. Avdulla has been Egg Tart's regular rider this autumn and feels the mare is nearing peak fitness. "I think she's ticking over well," Avdulla said. "She handles the cut out of the ground so that will suit her, the 2000 suits and if she's anywhere near her best I expect her to run well." Graff will have his first run in Sydney this preparation after two efforts in Melbourne Group One sprints. He raced handy and finished on the heels of the placegetters last start in the Newmarket Handicap and Avdulla reunites with him for the first time since last year's Everest in which he finished fifth to Saturday's rival Redzel. "I'm looking forward to riding him. He hasn't been far away his last two up the straight," Avdulla said. "He goes back to Rosehill where he's run well before, the 1100 suits, soft draw, no weight on his back. I expect him to run well." Lightly-raced Victorian Yulong Tavion has made the trip to Sydney for the Rosehill Guineas (2000m) and rounds out Avdulla's Group One mounts. He is one of the outsiders of the Guineas field with The Autumn Sun a prohibitive odds-on favourite and expected to continue on his winning way. Outside the major races, Avdulla has some quality rides headed by Big Duke in the N E Manion Cup (2400m) and Luskintyre Lass in the Epona Stakes (1900m).